It snowed all day Tuesday. That hardly never happens here! We had to run an errand. 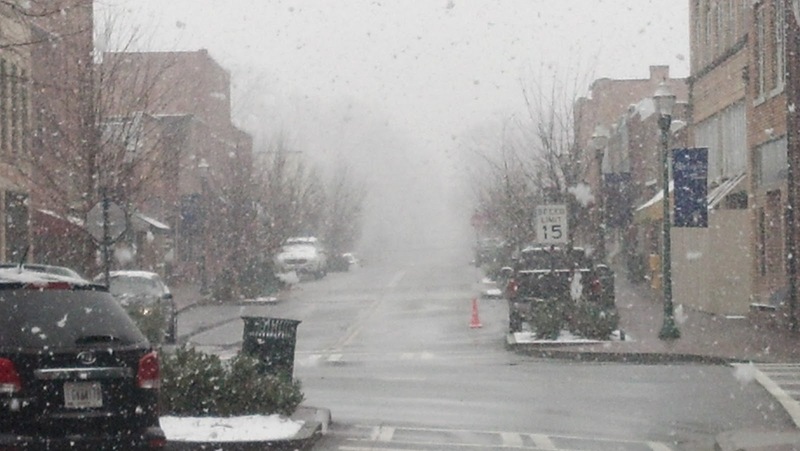 So we went through downtown Toccoa and took in the beautiful snow falling! 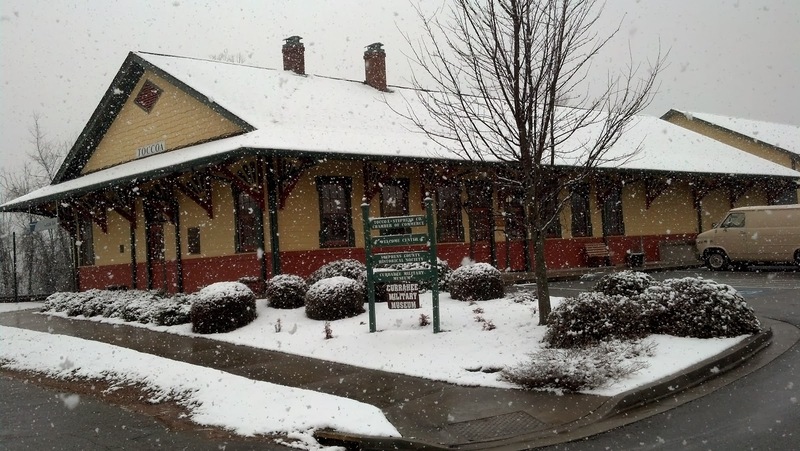 The train depot looked like a warm gingerbread house in the snow. 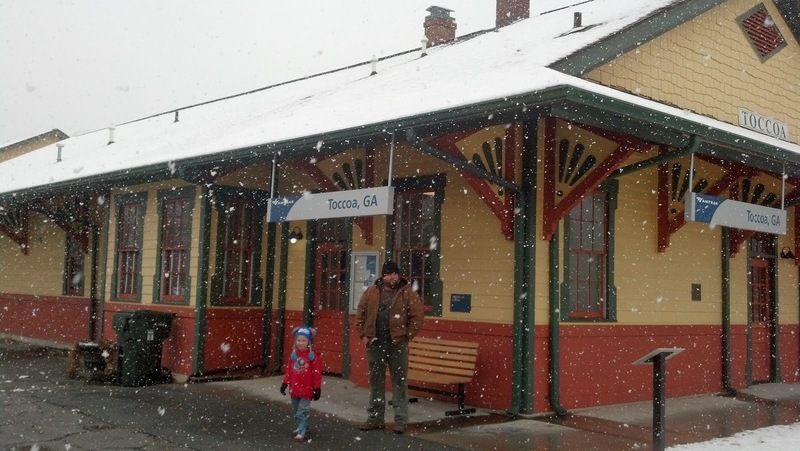 Toccoa is one of only three stops that Amtrak's Crescent line makes in Georgia. 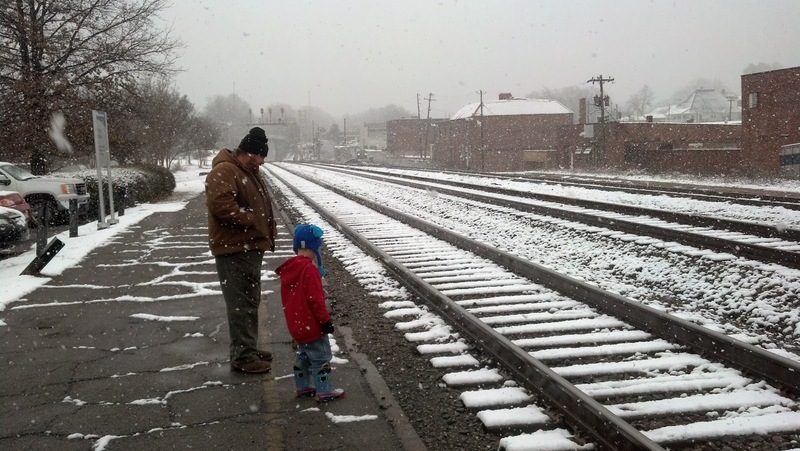 Hubby and Hamp wanted to see a train come down the track in the snow. 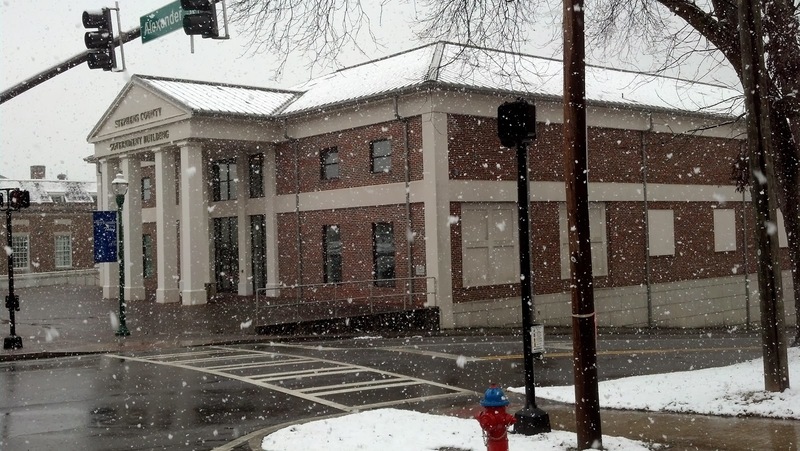 The new county courthouse looked quite and graceful as the snow fell all around.